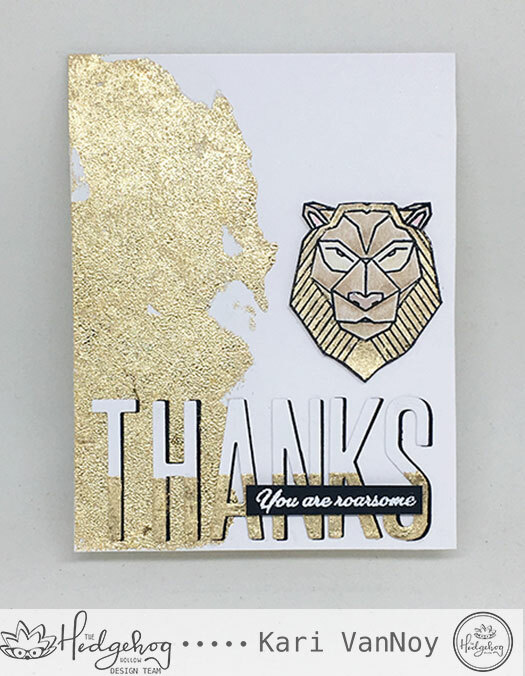 When I first saw that geometric lion stamp in the January HH kit, I just KNEW he needed a golden mane! And what better to create a golden lion mane than with Gilding Flakes?! 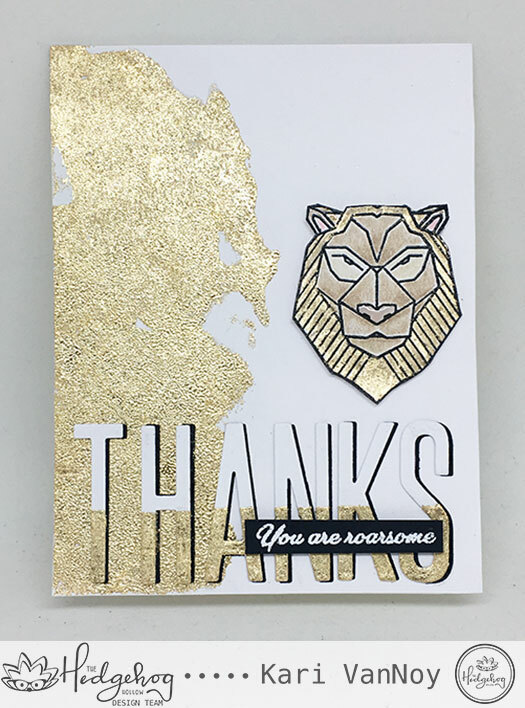 This lion has a sentiment that goes just perfectly: “You are roarsome!” So I white heat embossed that on black to add over the THANKS die cut (from my stash). Have you ever used Gilding Flakes? They are fun to use, but make sure you don’t have a fan on, OR the A/C isn’t blowing on your workspace, OR you don’t sneeze, OR you don’t breathe….LOL!! Those lightweight little flakes will travel!! Isn’t that fun? What technique will you try with Gilding Flakes? 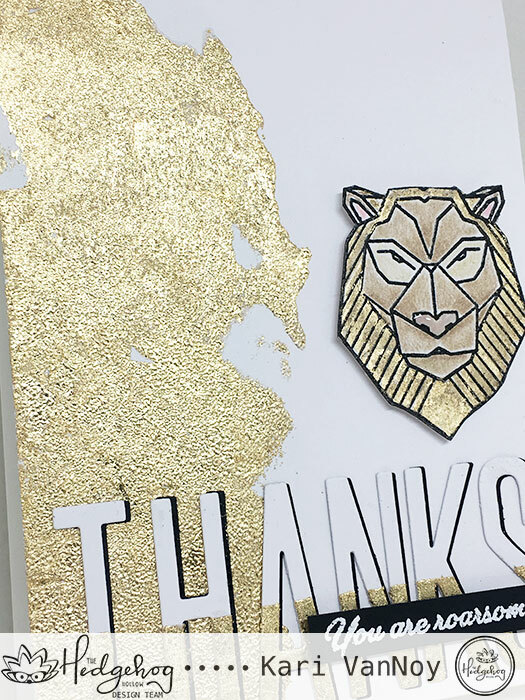 Here’s a closer look at that Gilded Lion…I added a bit of Glossy Accents to his nose for some shine. That’s it for me today. I’ll see you next time!